​Casa Soresina is located just 1km and a half from the small village of Offagna. ​Casa Soresina is near Offagna, a lively medieval village full of history, it sits 300 meters above sea level giving far reaching sea views over the countryside to the magnificent Monte Conero and, on a clear day after a storm you can even glimpse the mountains of Croatia. If you are coming from the A14, at the Ancona Sud exit, follow the signs for Offagna. After passing through Aspio you start climbing towards the village. At the roundabout at the entrance to Offigna turn left and follow the signs for Osimo. Follow that road for 1.5 km and after a big bend take the narrow lane on the right (via Torre) from here you will see the white gate of the entrance to the B & B.
Casa Soresina is 9 km (13 min) from the A14 Ancona Sud motorway exit, 26 km (25 min) from the airport of Ancona "Raffaello Sanzio" and 21 Km (25 min) from the train station in Ancona. From Offagna you can reach the Conero Riviera (Sirolo, Numana and Portonovo) in less than half an hour, in 25 minutes you are in Loreto, in just 20 minutes Ancona, 10 minutes Osimo, 30 minutes Jesi and the caves of Frasassi in 45 minutes. 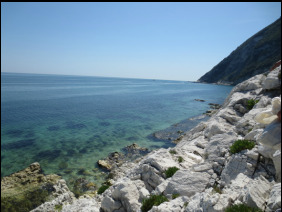 A marvelous drive (30min) through the Marche hills of vineyards and olive groves, typical white-stone houses and panoramic views of rare beauty brings you to the beautiful coastline of Conero with Portonovo, Sirolo and Numana. Sirolo the pearl of our hilltop towns, nestled against the mountain directly above the sea. 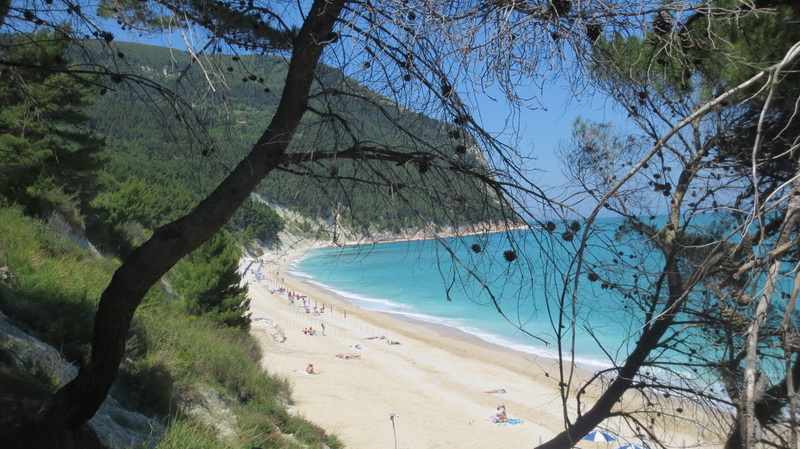 Numana welcomes you with its well-equipped white pebble beaches and Portonovo hidden at the foot of Conero a breathtaking surprise both in terms of nature and culture. 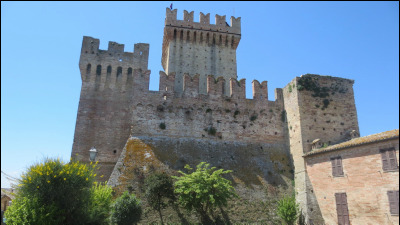 Osimo is only 8 km away, perched on a hill it is protected by an imposing medieval wall. Its origins are fascinating and can be traced back to Roman times. Romanesque cathedral, aristocratic palaces, gardens and a labyrinth of underground caves make it a place to be visited. The Palazzo Campana foundation organizes regular exhibitions of world renown art. ​The birthplace of Italy’s most famous poet Giacomo Leopardi, is just 20 km from Offagna. The historic centre of Recanati is beautifully maintained and proudly represents the typical hill towns of the Marche region. A visit to the poet’s house is an absolute must, take the guided tour to understand his poetry better. ​﻿ Ancona 20km away, can be reached in just 20min. Although it is the capital of the Marche Region, it is very little known by visitors. A meander through the shopping centre and a walk along the port at sunset for an aperitivo is very pleasant, or for the early risers sunrise and cafè! 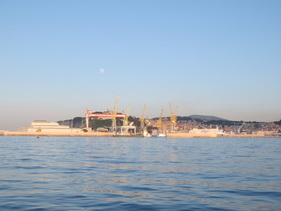 In fact, Ancona or "Ancon", from the Greek word “elbow” is just that, an elbow jutting out into the sea from which, in some seasons of the year, you can admire the sunrise and sunset over the Adriatic sea. ​Loreto with the imposing Sanctuary of the Holy House is the third most important city for Catholic pilgrims. It is, for believers and non, a place that emits peace and harmony, and worth a visit.